Avery’s mother and her two siblings together with their spouses were making a trip to Italy and wanted to visit the town of origin of their parents. Avery had visited Supino a few years ago by taking the train, arriving in the early afternoon and finding everything closed. She wanted to make sure that her parents and Aunts and Uncles would have a very different experience and she asked me to make it happen. First we did the basic research of 3 generations and determined the addresses where the family lived and the church parishes they belonged to. Everything was set. 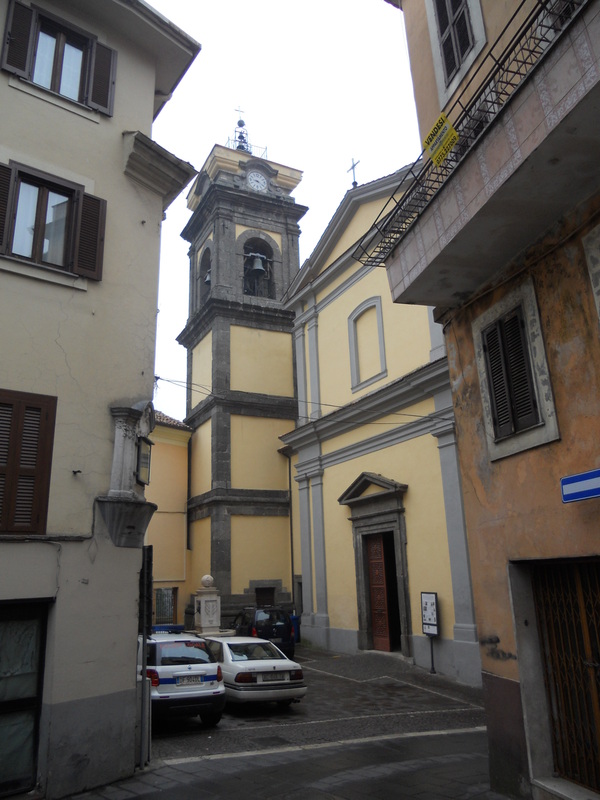 We would look around the town, visit the Comune and ask to see a couple of records, visit the churches and find the streets where the family had lived. As a bonus I would try to set up a visit to a Roman Bath site that had been found in the town. 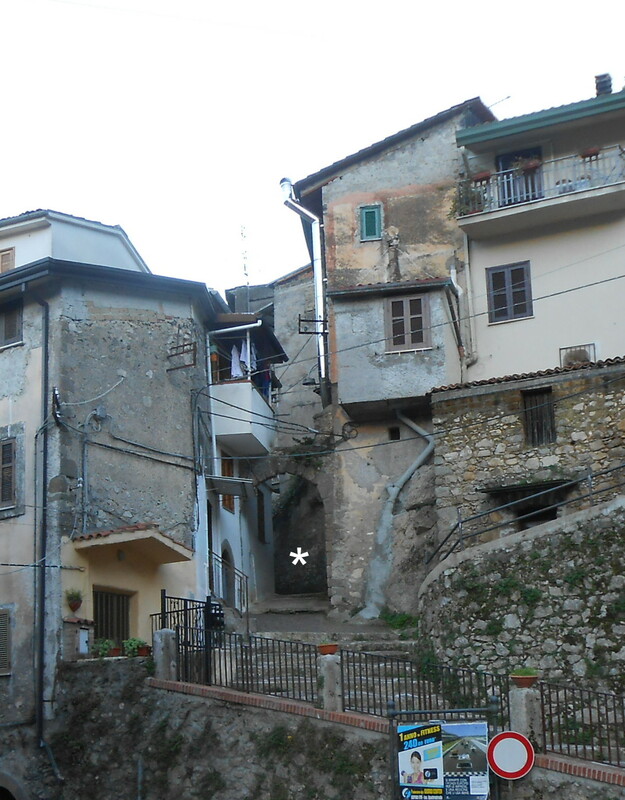 What really happened was so typical of an Italian town who lost many of it’s residents to emigration! The town offices received us with open arms and let us see the family’s original records and even search for a death record we didn’t have. The ‘Ufficio Tecnico’ boss informed us that the Roman Bath site was having a festa for the next two days and that today there would be a guide on site. With this in mind we set out to explore the streets around the Church of Santa Maria Maggiore which has been closed for the past year as the roof is unsafe. We stopped to chat to some locals and even showed a couple of family photos of the house where they lived. Since it was now approaching 11:30am I shepherded the group back to the car and we set off for the Terme (Roman Baths archaeological site). It was not well signposted and not easy to find and when we got there the area was closed with no one in sight. I called the town office and shortly a guide arrived and gave us an exceptional private tour. The place was amazing, I am so glad I included it in the visit. After a gastronomical experience at Il Castagneto we set off to the church of San Nicola where the priest had promised to have the church opened for us. Waiting for us was Baldasarre, an 85 year old resident who had been told by the locals we spoke to this morning that we would be at the church at 4pm. He told us he would be our guide up to the house as he knew exactly where it was. And he did. He led us up a steep flight of stairs on and upwards to the very top of the village and proudly pointed out the house. Without his help we might never have found it. There was no street sign to guide us. Thanks Baldasarre, you saved the day! Avery’s Mom (Rosie) here. Thank you for all the prep work and planning you did prior to our visit to Supino. It was an amazing day that remains the highlight of our month long trip to Italy. It was not only a glimpse into our own family’s past but a much more authentic experience of non-tourist Italy and it’s friendly, generous people. The tour of the Terme baths in Supino was amazing…to think we actually got to walk around in something that old…for free! We really did not see anything else like it on our trip. Lunch at Il Castagneto was, for me, the best meal of the trip. The restaurant itself was beautiful, the family was so friendly and the food so delicious. As we ate mostly in restaurants catering to tourists, it was one of the only experiences we had of ALL the meal courses hand made with local, home grown ingredients. Now that I see your blog about land ownership, we are very motivated to see if we can return more often to Supino…as seasonal residents! Maybe we will meet again! Thanks again for such a memorable day! It was a pleasure to meet you and your family and I do hope we meet again!